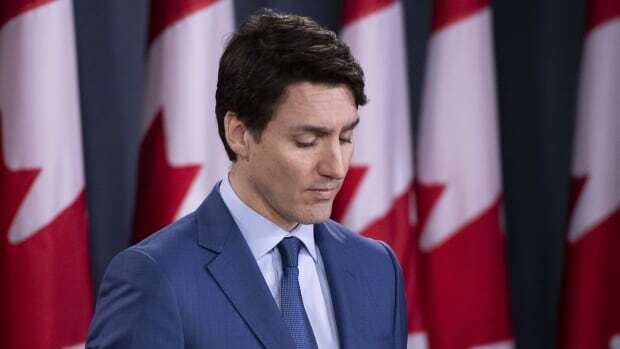 Prime Minister Justin Trudeau blamed poor communications and an “erosion of trust” between his former top adviser and Jody Wilson-Raybould for the SNC-Lavalin controversy that has rocked the Liberal government. At a news conference Thursday in Ottawa, Trudeau said he tasked his staff members to engage Wilson-Raybould on the file while she was justice minister to stress the potential impact of her decision. In hindsight, he said he should have reached out “personally” on the crucial matter instead of dispatching staff. He said an erosion of trust developed between his then principal secretary, Gerry Butts, and Wilson-Raybould. Trudeau also pointed to a breakdown in communications. He confirmed Wilson-Raybould told him of her decision not to intervene and order a remediation agreement as an alternative to criminal prosecution on Sept. 17, 2018, but he asked her to revisit that decision and she said she would. Officials reached out to her in the subsequent months because he considered her to still be “open” to listening and considering other opinions on what her decision could be. Trudeau said Wilson-Raybould never told him she believed those contacts were inappropriate pressure. While he tries to foster open dialogue with cabinet and caucus members, Trudeau acknowledged he could have done a better job. Trudeau said in that Sept. 17 meeting, he referenced he was the MP for Papineau, Que., but denied he was making pressing her based on partisan interests. He said Canadians can be assured the integrity of institutions or judicial independence was never compromised. The prime minister said the file is a complex one, because SNC-Lavalin is a major employer and creator of spinoff jobs, yet is facing serious criminal charges. The controversy has generated much debate around whether the justice minister and attorney general roles should be split to ensure the independence of the attorney general is never compromised by politics. His statement comes a day after Butts testified before the Commons justice committee. Butts also blamed the crisis engulfing the Liberal government on a breakdown in trust and communications that led to the resignations of two top cabinet ministers.